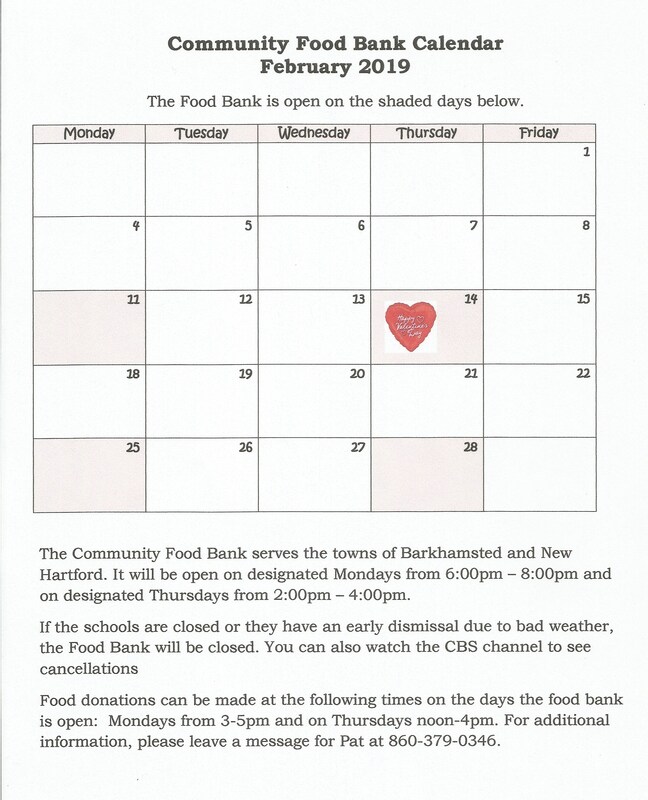 The February 2019 calendar for the Community Food Bank is now available. To view larger, just click on the calendar. The Community Food Bank, housed at the Pleasant Valley United Methodist Church, supports the towns of New Hartford and Barkhamsted. Their hours of operation are listed as well as a phone number to call for more information or to schedule a donation.